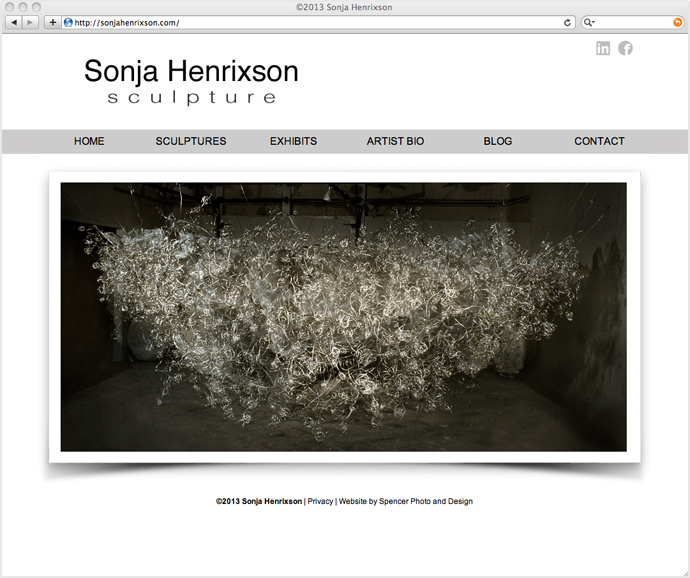 Scott's fellow Art Academy of Cincinnati alum Sonja Henrixson recently reached out to us to redesign her existing website, an online portfolio of her amazing sculptures and installations. 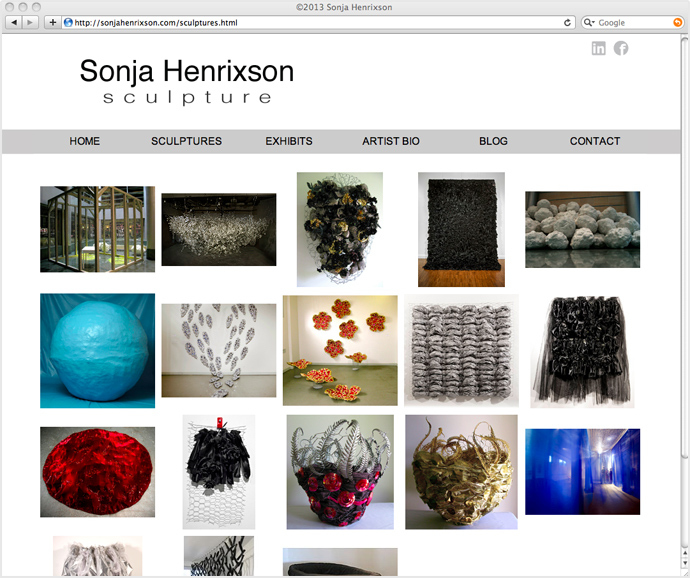 We took the concept behind her old site and applied the same streamlined aesthetic to the new site. With updated navigation, added a more robust photo gallery and a brand new blog, Scott and I both agree the new site really lets her art shine! 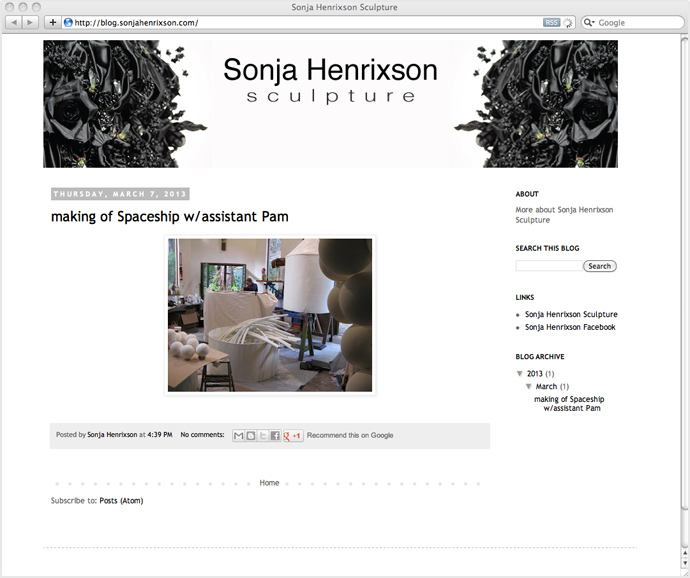 Check it out at www.sonjahenrixson.com.